One of the oldest lotteries in the world that has paid more than prizes out and also helped many of its players reach the millionaire status is the French National Lottery game “LOTTO”. The French National Lottery game, known as LOTTO, was launched in 1976 and is operated by La Française des Jeux – an organisation which is chiefly (72%) owned by the state. Since its launch, more than 4.1 billion prizes have been paid out, with 7.900 players becoming multimillionaires under the old currency system (francs) and over 150 more becoming multimillionaires since the Euro was introduced in 2002. It is legal for anyone over the age of 16 to play LOTTO in France, and participating is very straightforward. To play in person, you need to complete a lottery play slip. This allows you to make up to ten lottery entries at once. You can also opt to have the same numbers entered for two, three, four or five consecutive draws. The French lottery was initially created by King Francis I, but it wasn’t until the 18th century when lotteries became popular, and collections were used to help fund the rebuilding of churches and increase government funds. However lotteries in France had a chequered history, with some governments claiming they were exploitative and subsequently prohibiting them. In 1936, the socialist government re-launched a public lottery, and increased state revenue via its ticket sales. In 1976 the French Lotto was created and made official. To play the French Lotto, players must select five numbers from 1 to 49, then one further Bonus number from between 1 and 10. Prizes can be won by matching from just the Bonus Ball to matching all five numbers and the bonus ball, and the prize for each tier will vary depending on the number of ticket cards purchased and the total prize fund. Overall, there is a 1 in 16 chance of winning a prize on the French Lotto, giving it some of the best odds of the European lotteries. 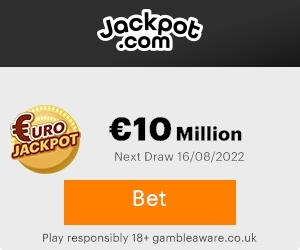 The minimum jackpot is €2 million and it has a maximum rollover cap of €36 million, although the highest winner on the French Lotto to date was €18.2 million. If you wish to play the French Loto it is now easy to join in by buying tickets from our Lottery Concierge Service. This is a ticket buying service which gives lottery fans the chance to participate in as many international lotteries as they wish. All you need to do is sign up, select your numbers or the Quick Pick option and then your tickets are bought for you! You will receive a scanned copy of your ticket for your records, plus the concierge will conveniently inform you if you have won any prize. All winnings in this lottery game are paid out in tax-free cash lump sums, however all players must be 18 years or older to play the French Lotto. In fact, calling the French winner ‘lucky’ may be somewhat of an understatement given that he won both times by playing the SAME line of numbers! His first France Loto win was in 1996 when he took home the top prize of €2.8 million. Many lottery players might have called it a day after taking home the jackpot, but not the anonymous France Loto winner. He carried on playing the same set of numbers that he has been playing since the lottery was introduced in 1976. These are numbers that he chose completely at random. The faith he had in his number set was rewarded when he took home an unbelievable second France Loto win – a jackpot win of €3 million! It may come as no surprise that the France Loto winner (who claims that he was born under a ‘lucky star’) is continuing to play the France Loto and is in fact planning on winning it for a THIRD time? For all those wondering, the chances of one player winning twice with the same six numbers are 1 in 363 billion.